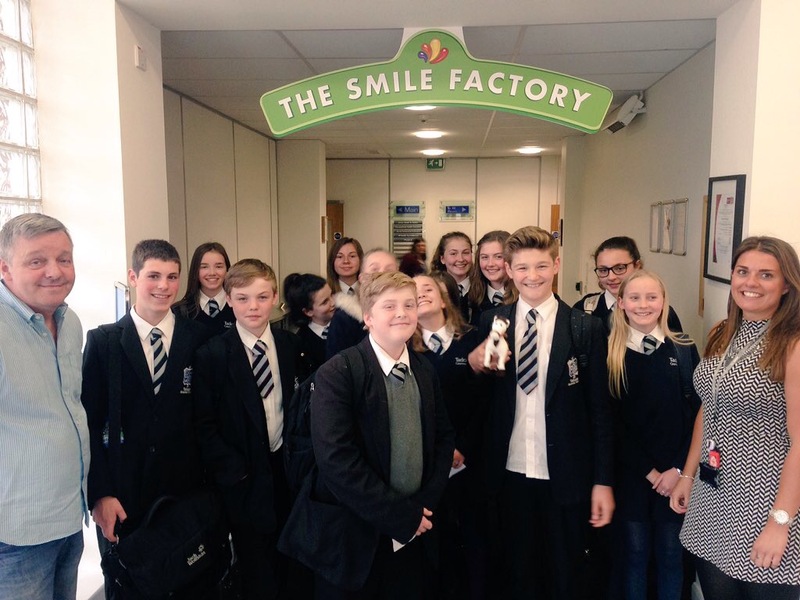 Fifteen Year 8 students at Tadcaster Grammar School have had the exclusive experience of visiting the production line at Nestlé Ltd.’s York factory this term. This opportunity was offered as part of a new initiative called the Nestlé Society, created in partnership between the Partnership Development Team and the company to encourage awareness of skills and experiences developed outside of the classroom that can be useful in the workplace. The day began with a tour of the building known as “Kitkat 5b” – guess what they were making in this department…? The students remained on the balcony, where they could look across the whole factory and see how the products came together with incredible speed and accuracy. It was fascinating to see all of the complex processes that are required to create this popular chocolate bar, which served as a metaphor for the many factors that are essential to create a successful team. The group then visited a training room, where members of Nestlé’s Fast Track Apprenticeship programme put the students through a mock ‘Assessment Centre’ task. Splitting into teams, each group had to construct a tower made from newspaper that could hold the weight of a whole box of paperclips. Halfway through the task, the apprentices changed both the goal and the deadline of the task, to see if our students could think on their feet and adapt to change! Whilst there were varying degrees of success at this task across the room, all students could talk clearly and confidently about the experience afterwards and analyse their own work as a team. The day concluded with an introduction to the world of ‘Digital Footprints’, with an engaged discussion on how to identify and manage your own footprint on the web through social media privacy settings. Having a Q & A with the apprentices who ran the Assessment Centre task gave students the opportunity to ask any questions they had about working in a large company, pursuing a path away from university and developing a CV. The Nestlé Society will be returning to the factory on 6 June with other students from TGS to enter the final round of a competition hosted by Nestlé and ‘My Kinda Future’. This competition features the chance to win two weeks of paid work experience over the summer holidays; we wish all students entering the competition the best of luck! Making a Splash in Key Stage 2!